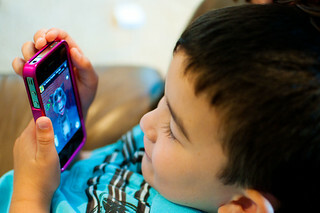 I heard about the Talking Tom iphone app and decided to download it and let my kids play with it. They LOVE it. Basically, you say a phrase to this little cat and it repeats it back to you in it's silly voice. My kids cannot stop giggling about it. I have even used it to get their attention a couple of times.